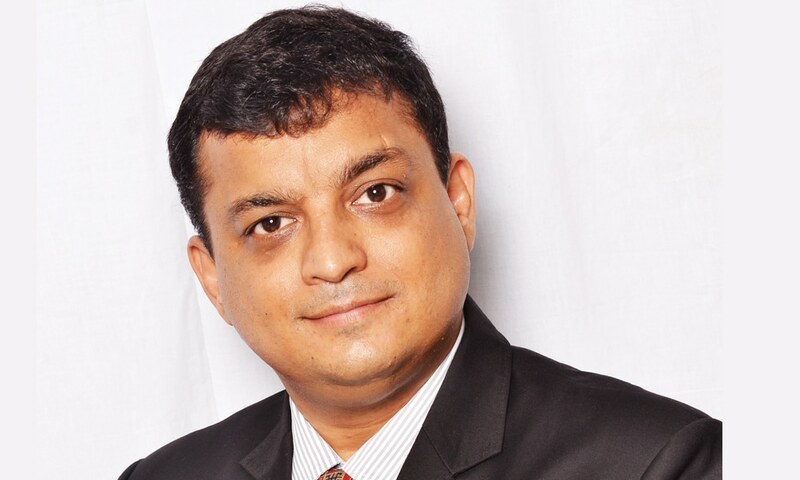 Seeing immense opportunities in the education space, Rohit Midha, Director, Commercial Accounts & Tablets Business, Lenovo India, in an exclusive interview with Elets News Network (ENN), tells about his company’s versatile product portfolio that has been designed keeping in view the specific requirements of educational institutions both in urban and rural areas. What is Lenovo’s idea behind collaborating with various schools, colleges and government education bodies across India? Lenovo sees these collaborations as a growth opportunity and as a contribution towards the government’s ‘Digital India’ initiative. All around us content is getting digitised and educational institutions are no different. For example, we are seeing police training divisions starting to use tablets as part of their course curriculum. On the country’s education front, the government is considering reducing the number of books students are forced to carry to schools. The education fraternity has already set weight limits for the books students can carry with them, thereby creating the need for devices that can reduce the number of books. Devices and technology are being used to prevent pilferage in many government aided education schemes. We definitely see an opportunity here and we want to make learning more interactive. Technology coupled with a good device opens up a host of opportunities. Both governments and private institutions are beginning to see the need to provide laptops to students in order to give them early exposure to the world of internet, digital technology, touch-enable experience and globalisation. Basis our experience, we understand there is a clear need for device-enabled education for better tracking of performance and mentor students. Which education segments does Lenovo majorly focus on and what are your product offerings in these segments? The education space in India offers immense opportunities when it comes to IT enablement and we work across the entire spectrum of services. We directly collaborate not just with governments to provide students with devices like we did under the ELCOT deal in Tamil Nadu, but also with various institutes across the country. From digital text books to graphic-rich content, audio lectures and use of devices to record attendance or even conduct tests, our list of user cases is long. Our versatile product portfolio across diffrent screen sizes, their robustness and design innovation make us a natural choice for this segment. We have propositions for K12, higher education and other specialised courses including skill development. For example, we collaborated with ConveGenius, an educational technology company, to launch ‘CG Slate’, a kindergarten specific product. This is an animation rich product that enables parents to pre-define intervals wherein the child can take a break and watch cartoons on the same device. When dealing with such a varied audience group, it is critical to understand the customer’s key requirements. While one may be looking for devices for content interactivity and graphics, the other may be requiring a product with a better processor or RAM for enhanced computing, or superior audio for more effective course delivery, or robust built and product reliability. As for our collaboration with premium institutes like Kalinga Institute of Industrial Technology (KIIT), Bhubaneswar, we have provided them with Windows products. Their requirement wasn’t content interactivity alone, rather they wanted devices that support online examinations and tests. In other words, there are various factors we need to keep in mind when catering to the demands of educational institutions. Firstly, we need to understand ‘content compatibility’ required and provide systems that can support the demand of 50 plus students using different platforms at the same time. Secondly, we should keep in mind the ‘nature of requirement’ itself, as some of our customers look for devices with embedded fingerprint scanners to be used as an attendance monitoring system. What is your opinion on the impact of technology on education and how do you think it can enhance the level of education in rural areas? Opportunities within the education segment for players like us are immense. 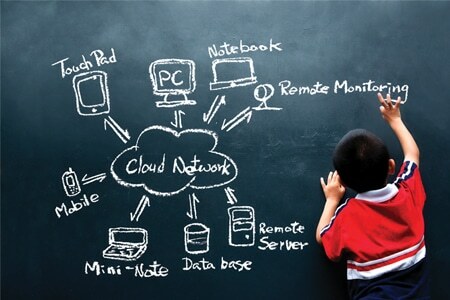 For example, the usage of devices in rural education institutions is not limited to teaching alone. To day, Lenovo devices coupled with biometric devices are used for attendance monitoring, monitoring on pilferage of various aids offered to these institutes and at the same time making the student future ready. Rich graphic and interactive content-based subjects like mathematics and science can become easier to understand and learn by using such devices. Educational institutions can shift from semester-based examinations to online exams. Our devices also eliminate the requirement of manual and time consuming evaluation systems and enable parents to monitor their wards’ reports online. We see challenges as a way to understand user specific requirements and meet expectations through closer mapping of our offerings. Using such devices also does away with the tedious process of collecting test papers, manual evaluation and creating score cards. Easy access through Lenovo devices makes the entire process more convenient for students and teachers alike. Additionally, solar powered chargers, eyeball scanners and projector-based products are also gaining momentum in rural areas. Our objective is to provide students both in urban and rural areas one such device that combines good battery life, quality audio output, clear display and responsive service support. All in all learning can become more fun and enable a better future. What are the challenges that Lenovo faces when it comes to aligning with modern day technology and meeting student expectations? We see challenges as a way to understand user specific requirements and meet expectations through closer mapping of our offerings. Therefore, this is not specific to only the technology on offer, but the entire experience. This includes aspects like buying experience, after sales service, total cost of ownership. For example, ‘Accidental Damage Policy’ that we offer on our products can really enhance the user experience. All our learnings from addressing various requirements have helped build a robust go-to market strategy for this segment. What are Lenovo’s plans for the next five years in the education space? We would like to be seen as pioneers in the education space, not just from a business opportunity point of view but as an enabler providing access to education across the country, and therefore contributing in building a better tomorrow. We want to be the market leaders in this space and stay abreast with the changing time and technological advancements. We will continue to bring forth our innovative technologies and use our deep understanding of this segment to offer best-in-class products that make learning a fun filled experience.